This full colored illustration is the 7th piece of the Full moon series. 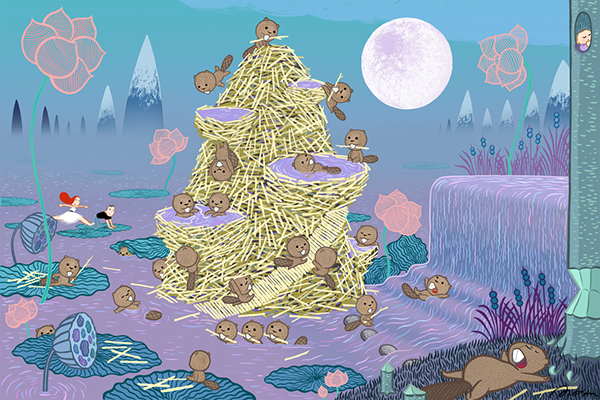 Larky baby beavers are playing while mama beaver is completely done up with building a giant playhouse for her babies all day. She is in a half fainting state but thankful for so many precious babies! 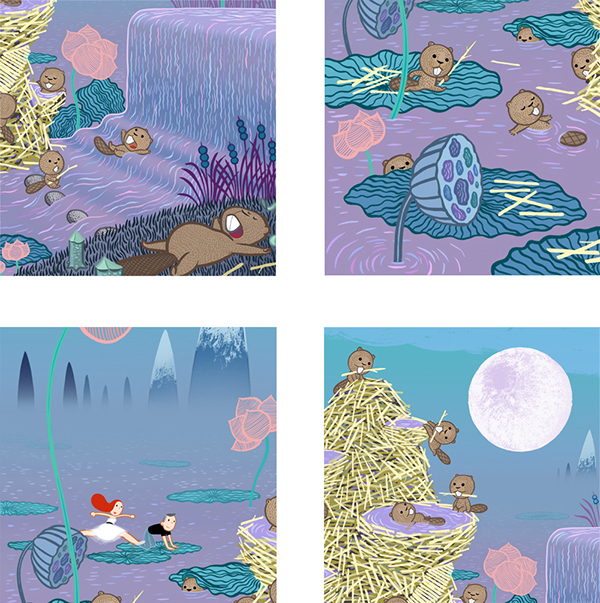 Now a couple has to find their baby in the huge pond crowded with baby beavers. The month of November's full moon name is Full Beaver Moon (or Frosty Moon) in the tradition of Native American naming.